Halfords Yuasa Racing duo Gordon Shedden and Matt Neal have a final flourish in their sights next weekend (30 September / 1 October), as the fiercely-disputed Dunlop MSA British Touring Car Championship draws to a close at Brands Hatch. 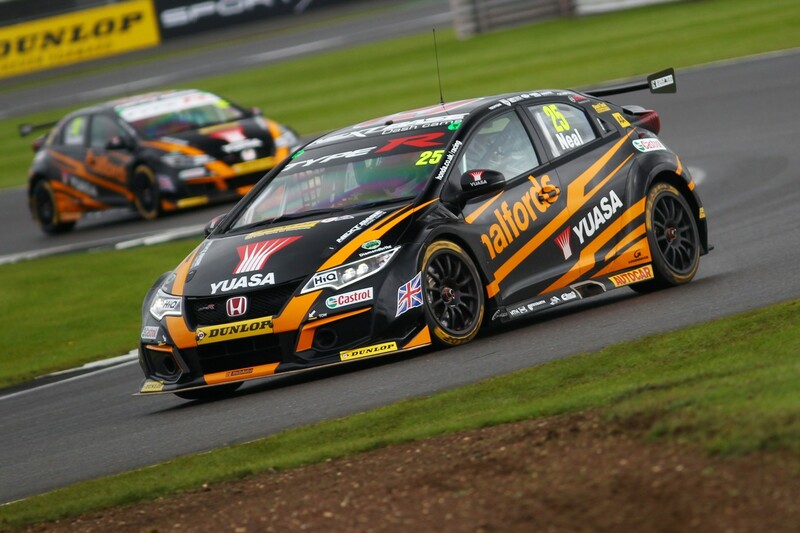 Following the most recent BTCC outing at Silverstone, Shedden and Neal – who won race three at the celebrated ‘Home of British Motor Racing’ in commanding fashion – sit respectively third and seventh in the Drivers’ classification, with Honda and Halfords Yuasa Racing locked in tight tussles for the runner-up laurels in the Manufacturers’ and Teams’ tables. The Civic Type R has always been a potent weapon around Brands Hatch’s legendary ‘GP’ circuit, which staged Formula 1’s British Grand Prix on no fewer than 12 occasions between 1964 and 1986. By the same token, the track has traditionally been a happy hunting-ground for Honda, leaving both drivers optimistic about their prospects of signing off the 2017 campaign in style. FULL SPEED AHEAD FOR BRITAIN'S FASTEST CIRCUIT!